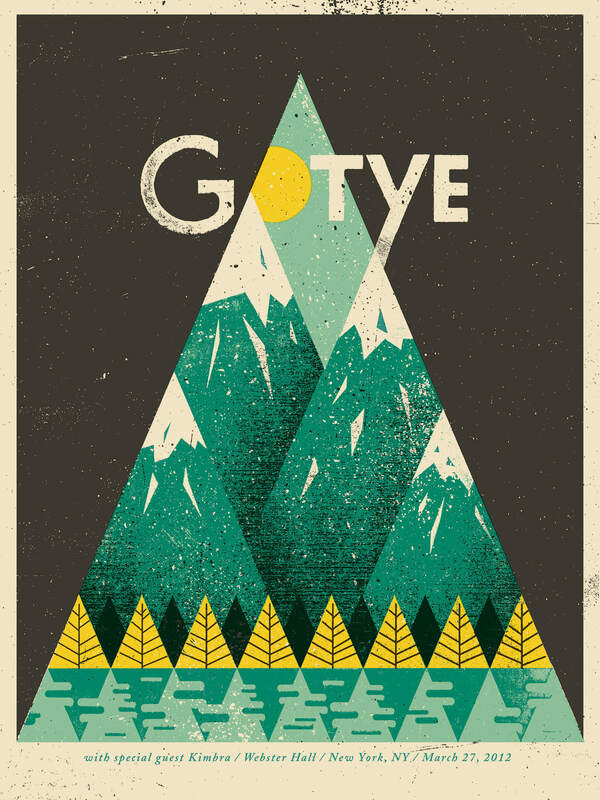 For Gotye’s first North American tour, I wanted to create an image that was clean, stark, and vintage, just like Gotye’s music. I constructed a landscape scene completely out of triangles, a reference to the triangles on his “Making Mirrors” album cover. 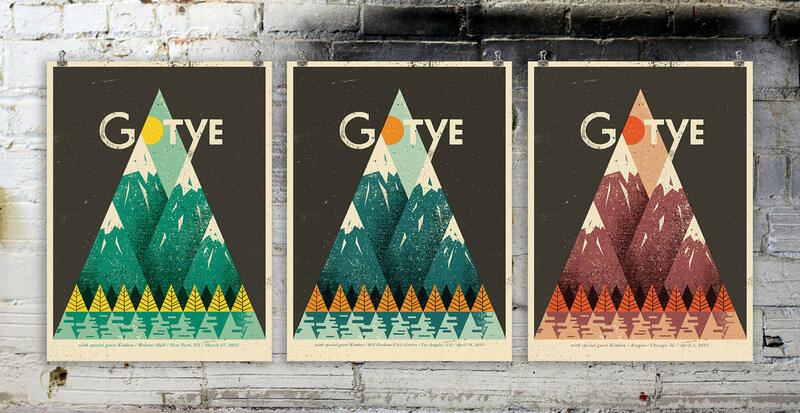 Gotye ended up loving the design so much that we printed up three different color versions for his three biggest tour stops.